For those who love technology as much as they love travel, here's a round up of some of the best travel gadgets of 2017 for tech lovers. Trying to decide what to pack can be a hassle especially when you add a lot of tech gear into your suitcase. But we're here to help. Over the years we have tried so many different gadgets. Some good and some bad. What does this mean for you? This means that we have done the work for you and want to share our results of constant testing. So get your sticky notes ready, here are the best travel gadgets we're using for 2017 that won't break the bank. We take a lot of photos and video when we travel and one tip I can give you is NEVER erase memory cards until they are backed up on at least 2 devices. That is the main reason we travel with a portable hard drive. 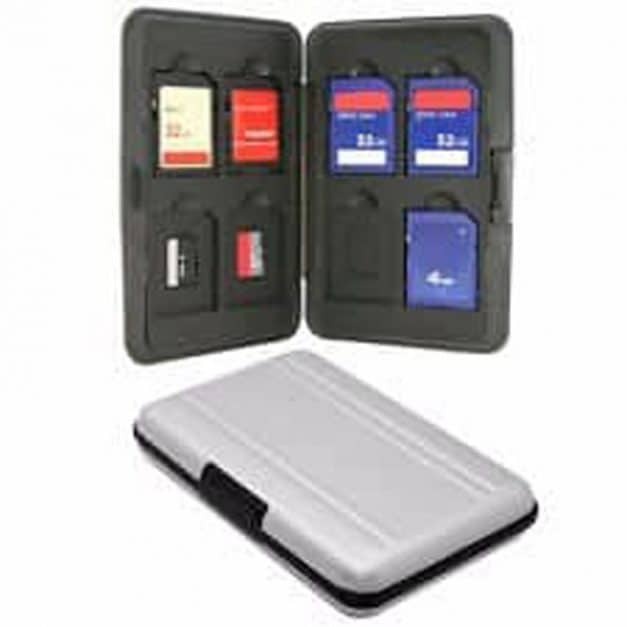 It allows us to reuse our memory cards without worrying about losing our shots. What I love about the Lacie Rugged Thunderbolt drive is not only durable and light, but it comes in capacities that are large enough to hold all your photos and videos to keep your travel memories safe. 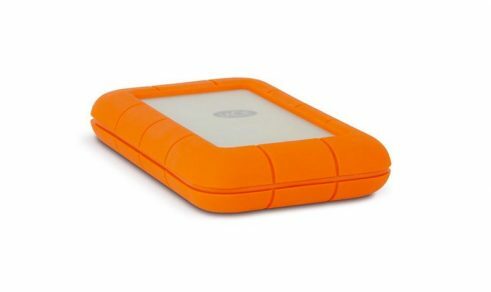 If you are looking for something even more robust check out the Lacie Rugged 4TB Raid Drive. Because it is drop proof and shockproof, it is small and compact and it comes in a fast Thunderbolt 2 connection. Have you ever made a point of going into a coffee shop or restaurant just to use a plug to charge your smart phone or other travel gadgets? Well, if you get yourself an external battery charger you won’t have to worry about missing calls or updating Facebook during your travels ever again. With two USB ports you can charge two devices at once and it even charges iPads and camera batteries. 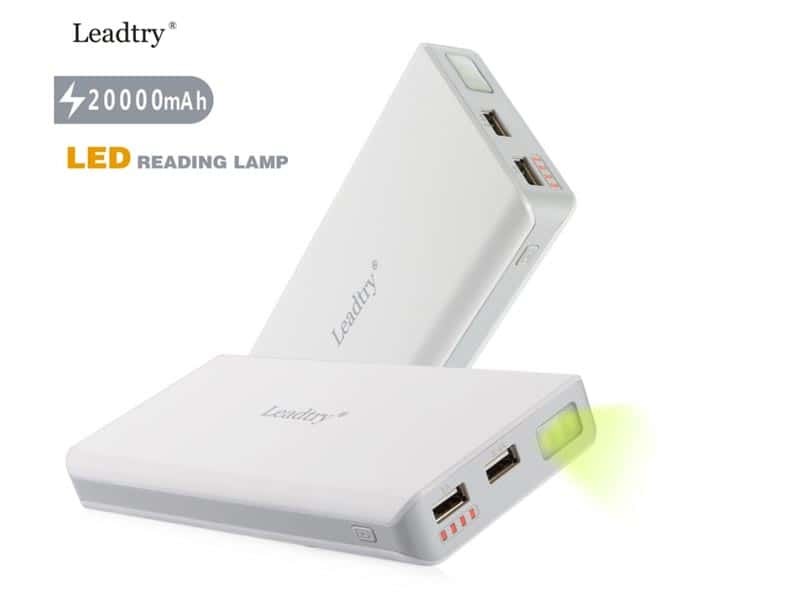 Because it is powerful, holds 4 charges and comes with a built in flashlight. Looking for more Travel Gear to take with you? If you travel a lot, you'll know what a pain it is rummaging through your adapters trying to find the right one for the next country. 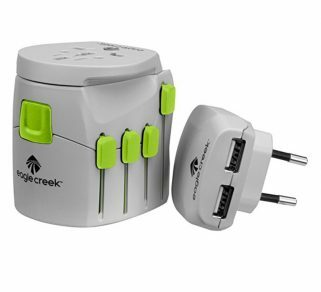 That's why Eagle Creeks world plug adapter works great. It's got everything you need in one compact plug. No more loose pieces of gear getting lost in the hotel room. Because it is light and compact and also comes with 2 USB outlets. We are Mac lovers through and through and we are always on our iPhone taking photos, checking out travel apps and sharing on social media. All our Mac products align and work together making everything online simple, easy and organized. If you are not a Mac person I would definitely recommend the Samsung Galaxy S8. 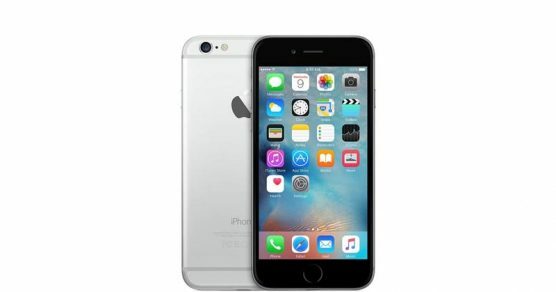 It is the sexiest Android phone on the market and comes with a micro SD card slot so you can expand your memory. You spend a lot of money on your smartphone so why wouldn't you take care of it. 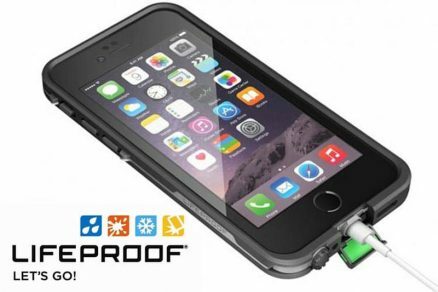 Lifeproof is the best case for your electronics making them waterproof and shock absorbent. Believe me, we have tested it. If you drop your phone a lot like me or plan on doing water excursions or adventure travel, you'll want this case. I ruined a phone snowboarding in wet conditions in Whistler, if I would have had this case then, my phone would have been saved. If you are an Android user they also make them for the Samsung S8. We have tested this underwater, in sandstorms, and on mountains and it is the only one that has not failed. Waterproof, shockproof and easy to use. They don't call it Lifeproof for nothing. Mac Products: As we said above we are mac users and have almost exclusively traveled with the Mac Book Pro for years. We always found the Macbook Air to be a little to light on power for what we do. Currently we are using the older model MacBook Pros from 2014 and 2015. We've been holding buying new ones until they do a proper update, but we love ours with the SD card readers and old USB ports. My recommendation, if you are on a budget, would be to order the older model we are using. But if you have the cash and like the latest and greatest then you can't really beat the speed and weight of the new Mac Book Pro. Windows Products: If I were a PC guy I would definitely have the Dell XPS 15. By far one of the best Windows based machines out there. With HDMI, USB 3.0, Thunderbolt ports, and an SD card slot as well as easily upgradeable memory it would be a no brainer to me. If you are looking a little more on the budget side I would have a look at the ASUS Zenbook UX330UA. At under $1000 and with specs like a 2.5GHz i7 processor, 8GB of DDR4 RAM, and a 256GB solid state drive it is the perfect travel companion. 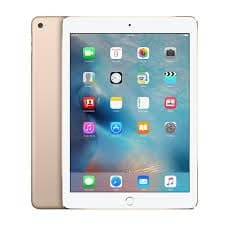 The iPad Air 2 is great for travellers. Load it up with movies or TV series and you have instant entertainment. And with the recent price drop they are more affordable than ever. With 128gb there is plenty of storage and with how light the new ones are and fast it is almost a replacement for you laptop for short trips. It's wifi compatible so you can watch Netflix, look up travel apps or send emails as well. E-Reader: We have always been a huge fan of reading when we travel and have not found a better e-reader than the Amazon Kindle Paperwhite. It really is a no-brainer as this has it all. A non glare screen for easy reading, a 6 week battery life, and built-in night lights so you won't be able to put that book down. E-readers are perfect for the avid bookworm and you don't have to carry around those books physically. Dave may use his Sony Pro Camera Kit, but this point and shoot by Sony is all you will need if you want to keep your travel gadgets light. I use the RX100V for video and the image stabilization works beautifully. With Carl Zeiss lenses and 20.2 megapixels, you'll have professional-quality photos for a fraction of the price of other professional cameras. I love it. It's small, lightweight and easy to use. Plus it has a flip up screen and a fast lens for low light situations. It also shoots in RAW and Jpeg. The GoPro Hero5 is our favourite adventure camera. 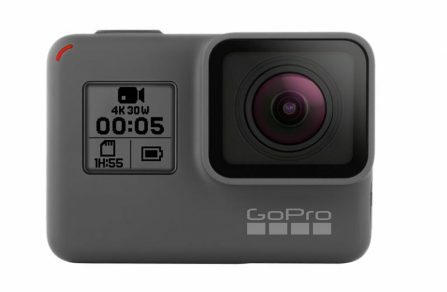 We have been using Gopro's since the beginning and find they are indispensable for adventure travel. Currently we use the Hero4 Black and Hero5 Session. But we strongly recommend the Hero5 Black if you have the cash because it has the playback back included. We use the GoPro for everything from snowboarding to scuba diving and everything in between. It is so versatile. You can shoot photos, use it for timelapses and it shoots in 4k. We've taken our GoPro on every water adventure you can think of from scuba and snorkelling to jet boats, kayaks, and whitewater rafting. It is a true adventure camera. 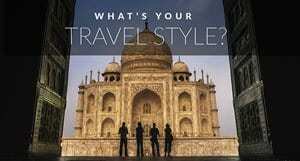 Want to know what Travel Photography Gear we Carry? If you are anything like us, you have a lot of different memory cards. We don't like to erase anything until our photos and videos are backed up but having memory cards loose in our luggage isn't an option either. This Power 2000 Aluminum Memory Card holder goes well with our Apple products and holds SD and Micro SD Memory cards snug as a bug. We also use it to keep things organized by putting used cards on one side and unused ones on the other. Most memory card holders are soft and you cards can get damaged. This is a hard case and it stores both types of cards. 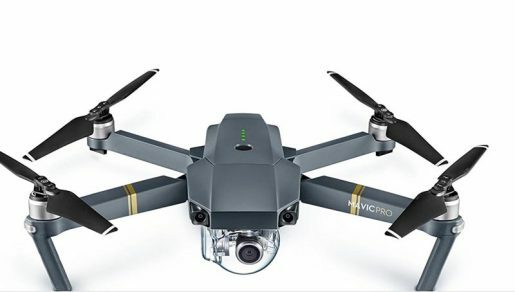 DJI Mavic Pro Drone - This is the ultimate gadget that brings your travel videos to a whole new level. It's an excellent way to get a different perspective and point of view for all your travels. Imagine being on vacation and taking an overhead view of your resort or having a drone follow along as you paddle down a river. Or what about setting a drone off in the air to photograph the magnificent landscape of the destination you are visit. The possibilities are endless. Just make sure to obey the law and learn how to fly it properly before putting it to the test in your travels. If you read our blog often, you'll know that we often recommend the Belkin as one of the best travel accessories out there for anyone who hits the road.. The Belkin surge protector not only protects your electronics from power surges, it charges several things at once with 3 outlets and 2 USB ports. 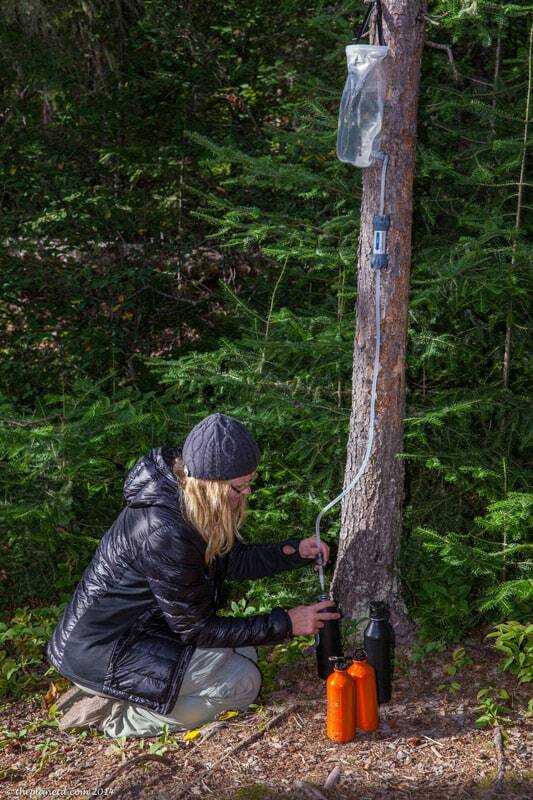 When it comes to gadgets you are looking to take with you traveling i am sure water purification is not something you would think of. But thanks to advancements in technology we can now carry something like the SteriPen. This works with ultraviolet light to purify water. It is run with batteries and can fit in your pocket. What we love about this bit of tech is that is chemical free. It should be noted that it doesn't filter dirt out of water it just purifies clean running water. Have you noticed that with all the electronics that we're all carrying, our charging cables are getting all mixed up and tangled? Thanks to a tip from our pal EarthXplorer, we've solved that problem with Gear Ties. Now when we pack our iPhone cables, computer cords and camera chargers, we wrap up all the loose ends with gear ties. 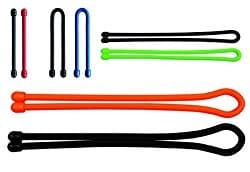 They're way better than tape or zip ties because they coil and uncoil with ease and they are colour coded. There are a lot of travel gadgets out there that are a fad or look cool online, but the gear we list above is the gear we use and know what works. 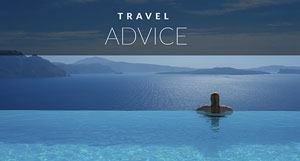 Do you have some favourite travel gear that you can recommend? 25 Responses to "Best Travel Gadgets for Tech Lovers 2017"
Thankyou for this wonderful blog post. It helped us recently during a travel. 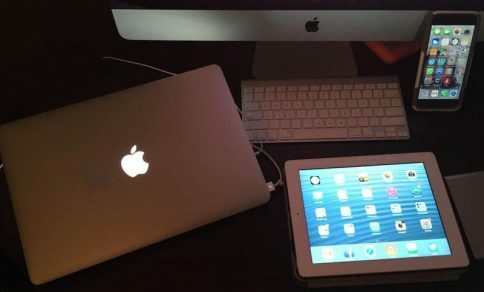 I just love tech, I have a friend in Dubai who likes these kinds of gadgets. We tell each other about new tech like these. Hey Deb and Dave, this list is fantastic. And mentioning the dry-bag in your video is a very smart move. Carrying all those electronics is one thing, but keeping them intact is a whole different story. So yeah, thanks for this list. I’ll check it again before I leave for my next trip. Thanks for sharing.These are some really useful gadgets, have one of few of them, gonna get some after reading this. I totally agree with your recommendations! 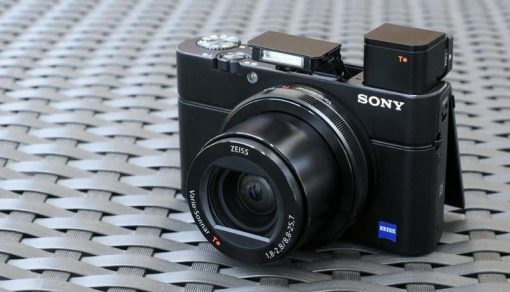 Especially the Sony RX100 Mark V is simply the best pocket camera you can buy right now. Excellent guys! 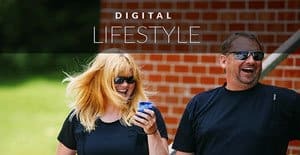 Technology is becoming an ever-increasingly important part of our lives – especially for the digital nomads out there! Light, portable, affordable and good quality are key aspects! These are some really useful gadgets, have one of few of them, gonna get some after reading this. Thanks for sharing. Great list! I don’t exactly have the same models for all the gadgets in your list, but pretty much have all of them and right now I am looking for Goal Zero products to charge my devices through solar energy when I am a little on the off the beaten track. Thanks again for the list guys! Great blog post. Lots of helpful products included that I would never think of taking when travelling. Especially like the idea of the external hardrive, very useful to ensure photos are safely backed up! Cool gadgets! I’d love to have a portable hard drive. It’s so, so important for backing up pictures and other important files. 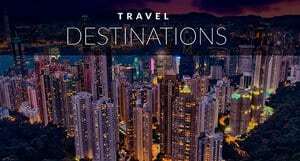 Glad to found this post, it’s very to important to know for all tech-savvy traveler. This is a great list with awesome gadgets. Keep it up and cheers. Great tech ideas! I consider myself up to date with technology, but apparently I am not as up to date as I thought. You mentioned a few ideas that I did not know about. The fitbit is a great idea. I didn’t know that you could get a drone for aerial picture taking. Sounds great! Awesome, so glad that we could give you a few new ideas. We do love our fitbit. Some great tips! Fathers Day in Australia is a while away though. I combined Father’s Day, Christmas and Birthday for my Dad last year (since they all fall in November and December) and got him an Ipad mini. He loves it and its great for when he wants to skype me when I’m travelling (unfortunately he has been suffering some mental health issues so I’m always really anxious to keep in contact with him), it was a win-win situation. I also got my Pa a kindle which is an amazing gift for an older dad/grandpa as they can increase the font to not strain their eyes. Pa was struggling with books and had to actively look for big text at the library- this solves that problem. I loaded it up with over 200 free books and he is good to go. The only thing is both of them often call me when they can’t work something out !! Great tips Britt. And sorry to hear about your dad, but I am glad that you an keep in touch with him. My dad loves having Skype. That’s amazing that you out 200 free books on yourPa’s kindle. I’ll have to do that! Thanks for the update on the latest gadgets, things are changing so fast sometimes its hard to catch up! That petcube looks awesome, first time iv seen it. 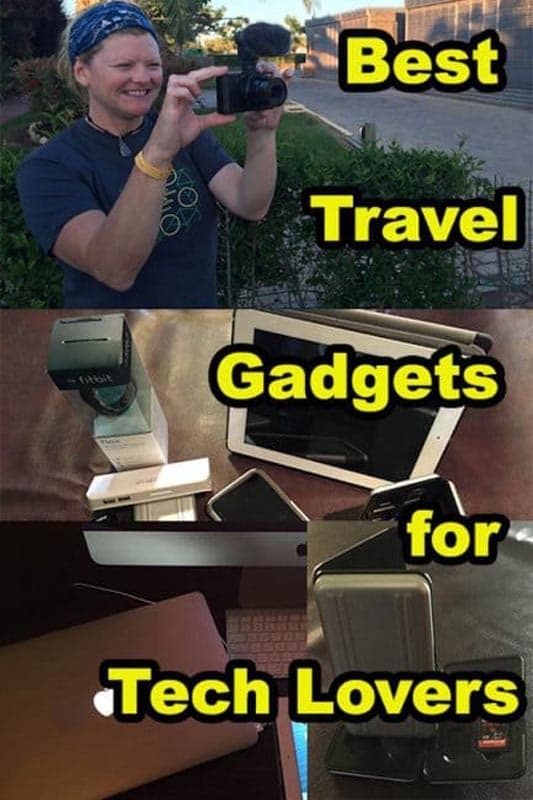 Perfect gadgets while traveling! And these gadgets will definitely help you store your documents without any worry. Travel tension free with Zoomlee!